SOCS sport provides everything you need to manage and market your school's sports. Getting started is quick and easy. SOCS provides the sports department with a more efficient tool to perform their usual daily duties. SOCS sport becomes the system staff use to create fixtures and team sheets: it gives schools the single data entry point that they demand. 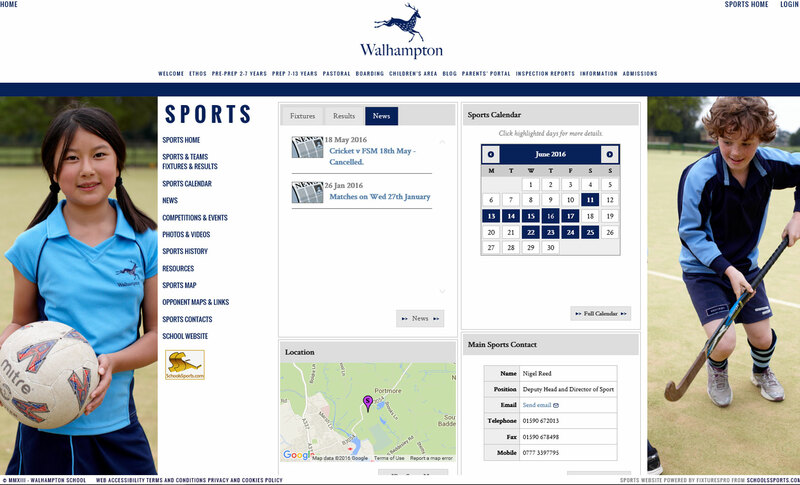 SOCS sport comes with a dedicated standard sports website to integrate with your school's main website, providing the perfect focal point to keep everyone informed about what's on where and when. Everyone shares the same information and saves time. Staff, pupils and parents can also synchronise their desktop and mobile calendars with their favourite team's fixture list using ICS calendar feeds for iCAL, Outlook and other 3rd party calendars, which helps reduce enquiries. SOCS Sport draws from a database of thousands of schools all over the world whose map points and contact details are already included. Building the sports programme using the SOCS CMS is simple, and communicating it to parents is a breeze. SOCS Sport is modular and allows you to get started with the features you require today. You can add to these modules over time. SOCS sport includes a dedicated sports website, which comes complete with a domain name of your choice. This is the content management system (CMS) which allows you to manage the content in your dedicated sports website. Choose to customize your sports website with the style of your existing school website or replace your existing website completely with the SOCS website design, build and hosting service. Never write or type a team sheet ever again! Easy to use multi-team sheet editor with drag and drop capability. Comes with participation reporting and access to the entire sports programme on one web page, which helps busy sports teachers stay in control. Another time saver when scheduling training and tracking participation. Your 21st century sports noticeboard, for team announcement, latest results and news. Updated in real time using SOCS control panel from desktop or mobile devices connected to the internet. Upload the result from your mobile device as the final whistle blows. If your school has the Team Sheet Builder module you can also record Live Scores as they happen and parents and alumni who can't make the big game can follow it live online via your sports website from anywhere in the World. A great focal point for your competition. We can set up a competition microsite which you can manage using the SOCS CMS. 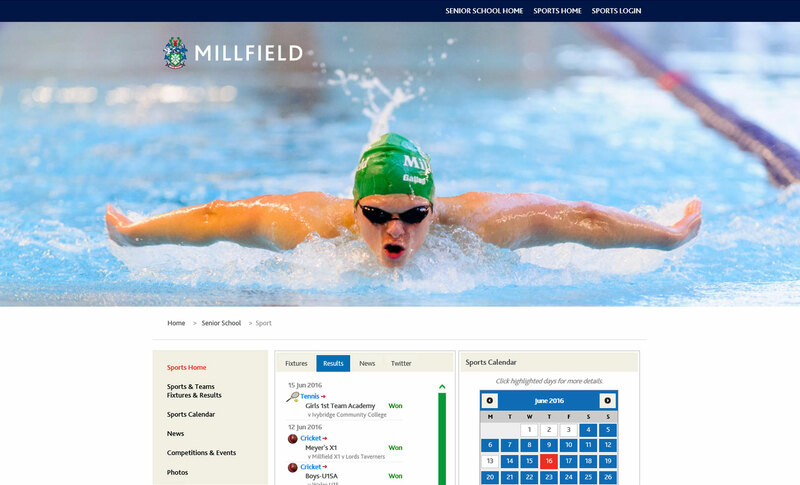 Competition microsites are automatically linked to the SOCS sport website of any participating school. Did you know that SOCS sport connects you into the wider SOCS community? If you play a school already using SOCS sport you won't need to add the fixture if they have beaten you to it. There are sport portals for rugby, hockey, football, netball and cricket, which you will find via SchoolsSports.com. All rugby fixture & results, for instance, are made freely available on SchoolsRugby.co.uk, the home of schools rugby in UK, which feeds the Daily Mail, the Mail Online, Rugby World Magazine, the Rugby Paper and other media channels as well as social networks. This extra exposure helps schools reach a much wider global audience of prospective pupils and parents than any school website can alone.